When driving through Houston, you may have felt a sense of apprehension as a giant 18-wheeler roars past you. These trucks are so big and can be intimidating, especially if you are driving a small vehicle. Can you even imagine getting into an accident with one of these beasts? As we mentioned in previous blog posts, truck accidents are on the rise in the United States. The National Highway Traffic Administration had recently reported that there were 4,067 fatalities in crashes that involved large trucks in 2015. This is a 4.1 percent increase over 2014 numbers, the highest since 2008. And with Congress relaxing many of the strict truck regulations currently in place to protect other drivers on the road, you can bet that these numbers will continue to increase. Is it possible to avoid getting into an accident with an 18-wheeler? Well, like most accidents, it’s hard to predict what’s going to happen. But there are ways to protect yourself and your passengers while driving on Houston’s highways. Allow an 18-wheeler at least four to six seconds of space in wet conditions and traveling on the highway. Keep an eye on a truck’s turn signal before passing them. It may be coming into your lane. Don’t cut off any type of large vehicle. It takes some time for an 18-wheeler to stop, unlike a car. Don’t pass a truck on its right side, especially when it’s making a right turn. And if you do get into an accident in Houston, immediately call de Lachica Law Firm, PLLC. 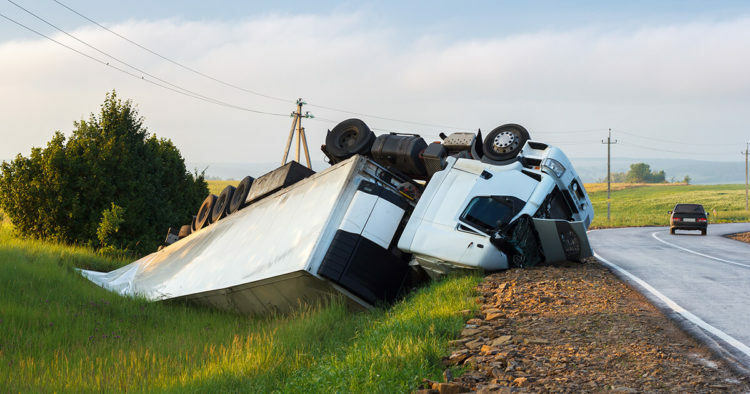 Our truck accident lawyer has been handling all types of accident cases and knows how to get the compensation you deserve. Call today for a free consultation.